1a. The new co-chairs (Paul Rogers, physician HIC), (Karina Viani, dietician, LMIC and Anita Trehan, physician, LMIC) were introduced. Two new members were welcomed – Bella Jaboma (dietician from Kenya – bella.beryl@gmail.com) and Glenn Mbah Afungchuri (nurse from Cameroon – mbahlas@gmail.com) were welcomed. 1b. Ronnie provided a brief history of the Network (Terms of Reference attached to these minutes), emphasizing the component groups focusing their activities respectively on HIC and LMIC led by pairs of co-chairs (a dietician and a physician). Given obvious areas of overlapping interest e.g. in education, Paul stressed the fundamental importance of communication within the Network. In this regard vehicles such as Cure4Kids can be useful and meetings at SIOP events are essential. The SIOP website and Cancer POINTE (hosted by Baylor College of Medicine) offer additional opportunities. Elena reviewed the established activities in India, Central America (Nicaragua and Guatemala) and Brazil that are geared to capacity building (including education, training and resource development), clinical research (including studies of body composition in relation to clinical outcomes) and sustainability. Terezie provided a detailed account of the HIC group (Power Point slides attached to these minutes) with reference to Goals and Objectives, and Specific Responsibilities. 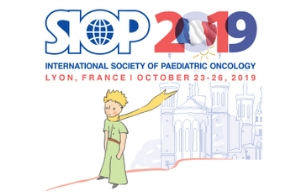 Attention was directed to a particular aim – establishing a global directory of pediatric oncology nutrition health care practitioners and a plat form to share resources. 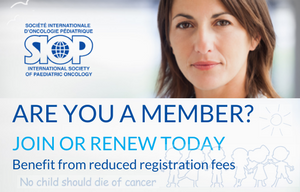 It was suggested that IPONG and the SIOP Nutrition Network could merge memberships under SIOP. There is an opportunity to develop international competencies and standards in collaboration with the Academy of Nutrition and Dietetics. In the absence of Mariana and Judy, Elena touched briefly on plans to engage with colleagues in Africa directly (as in Cameroon) and in partnership with colleagues at Texas Children’s Hospital (as in Uganda, Botswana and elsewhere). These developments have been informed by the results of a survey of resources and barriers related to nutritional care, stimulated by SIOP Africa. The IIPAN Foundation was established at Columbia University one year ago. It is funded by grants and philanthropic support. More details are available at the website http://ccw.columbia.edu/global-health/international-initiative-pediatrics-and-nutrition-iipan. Elena provided an overview of nutrition studies in the Children’s Oncology Group. “Probiotics for the prevention of graft versus host disease” will open in early 2018 recruiting 450 children undergoing HSCT and supplementing them with a probiotic or placebo for a 56 day period. The study will also examine genomic sequences in the gut and correlate these with clinical outcomes. Glenn gave an account of his program in Cameroon. Its primary aim is to improve the Knowledge of families of Children with cancer in regard to nutrition in order to improve clinical outcomes.